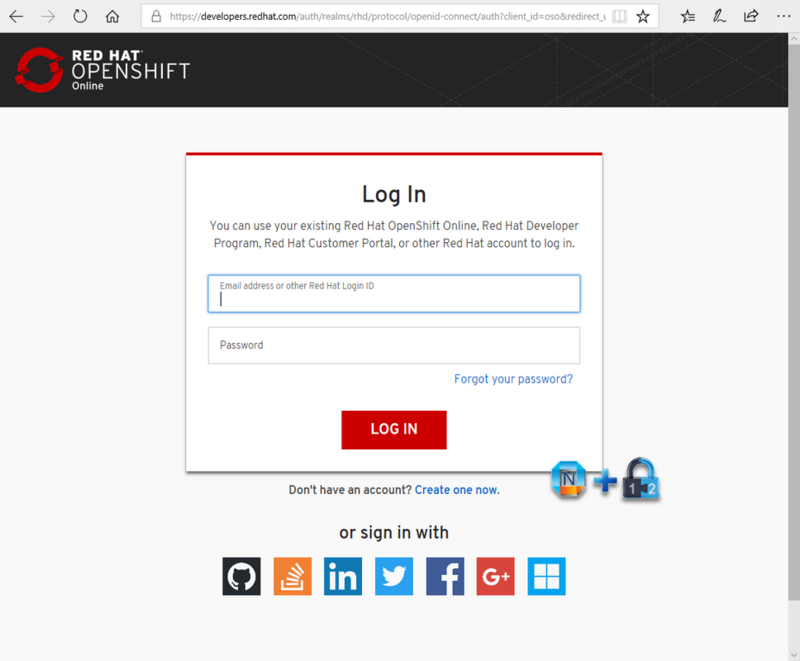 Red Hat® OpenShift® is a comprehensive enterprise-grade application platform, built for containers with Kubernetes. 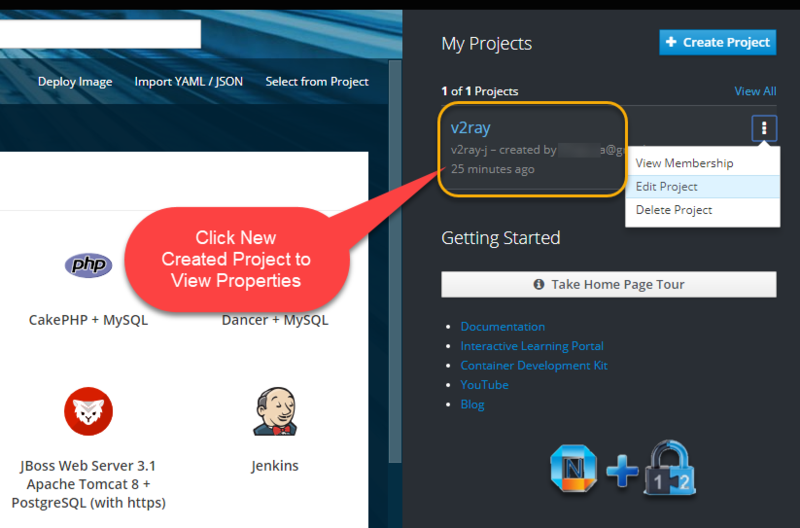 It can automate the build, deployment, and management of applications so that you can focus on writing the code for your next big idea. 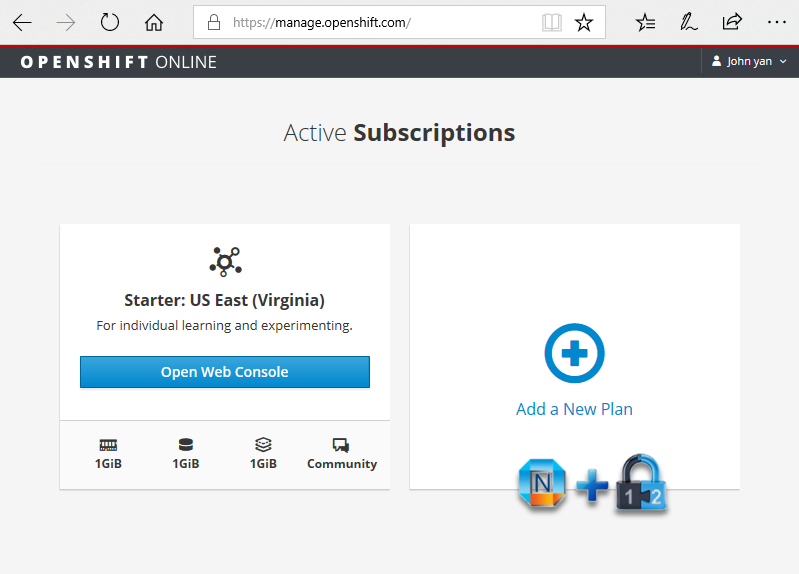 Basically OpenShift is Red Hat's Cloud platform as a service (PaaS). 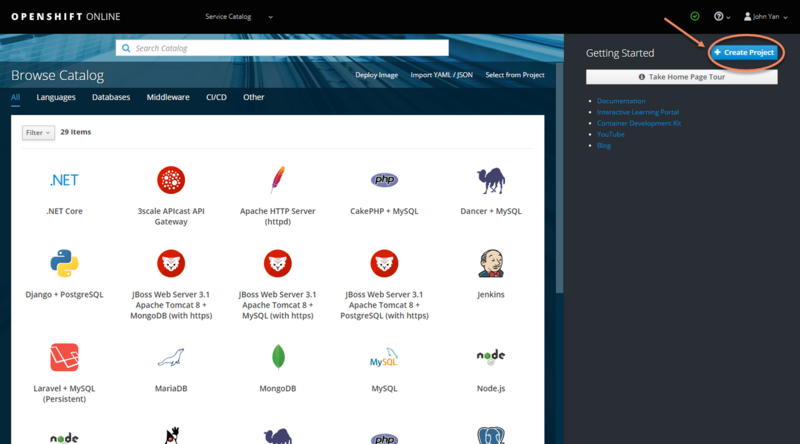 It provides a free and open source cloud-based platform allows developers to create, test and run their codes and deploy them into a free cloud platform. 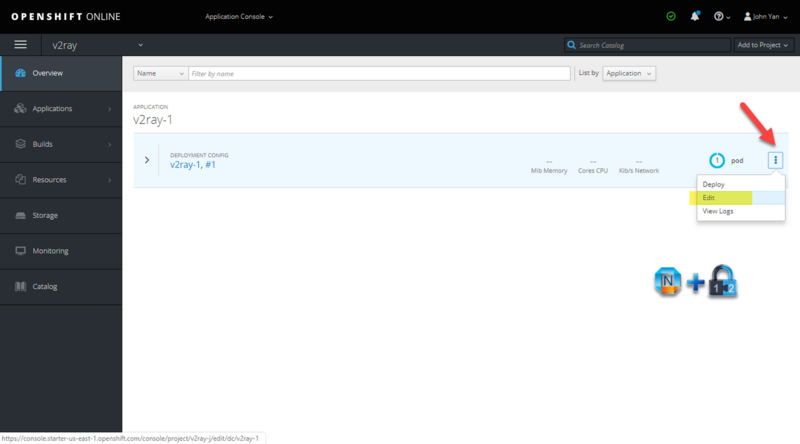 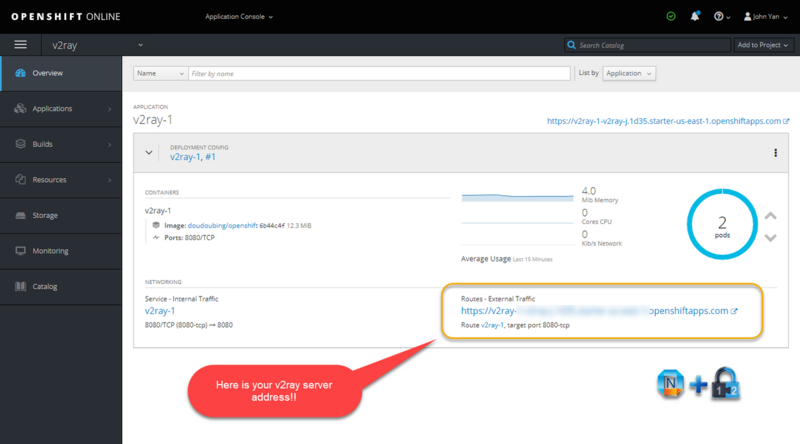 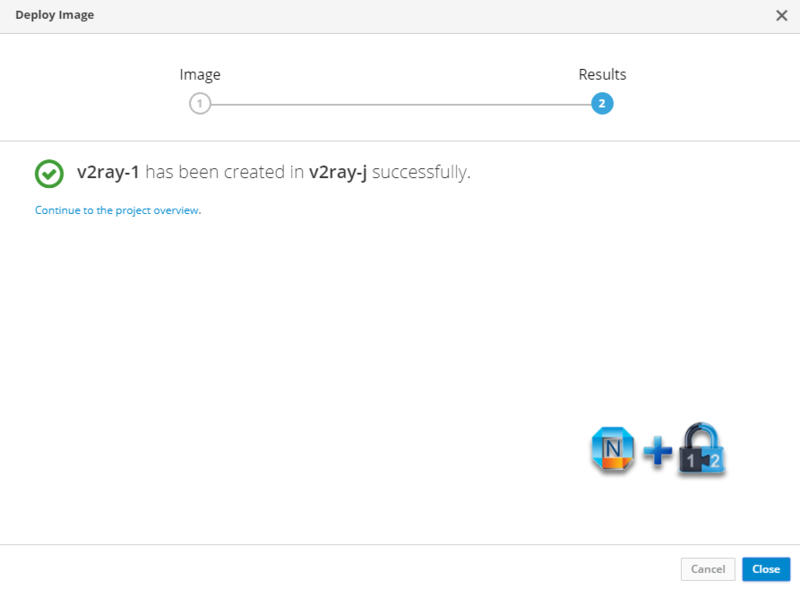 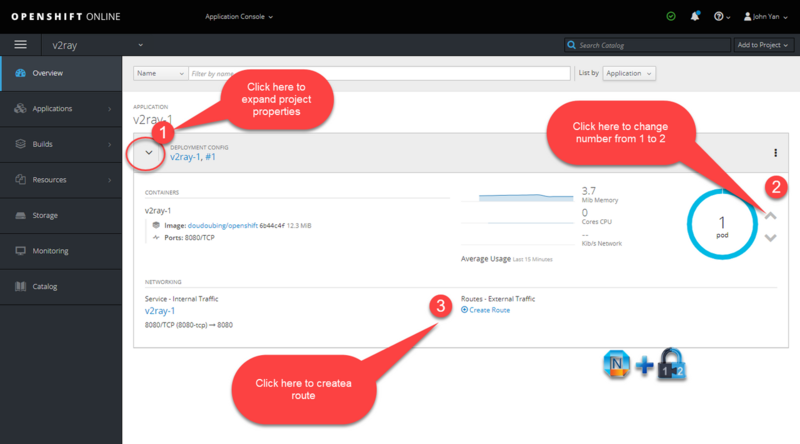 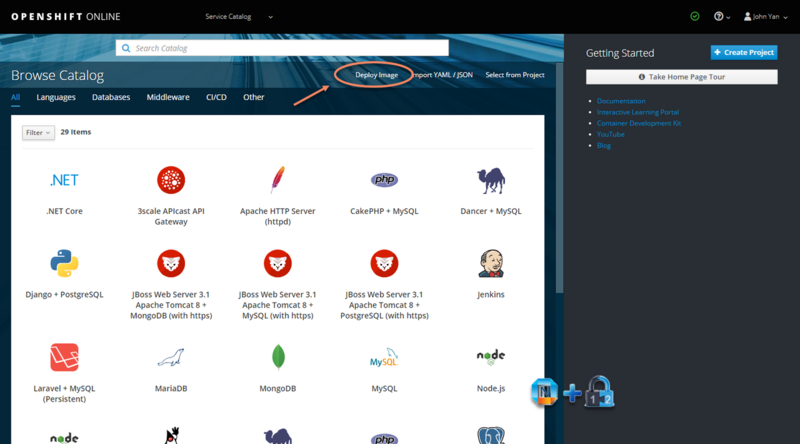 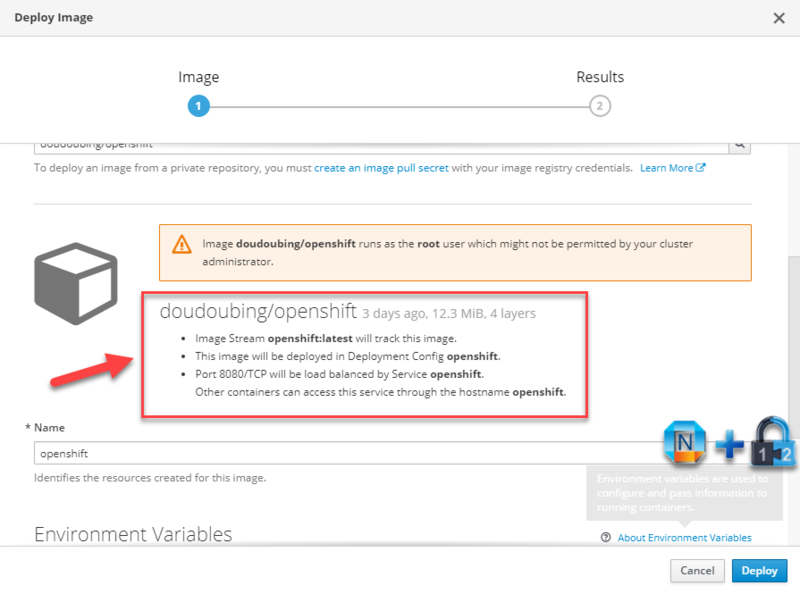 This post is going to use an example to deploy a V proxy project into Red Hat OpenShift cloud to describe the basic steps. 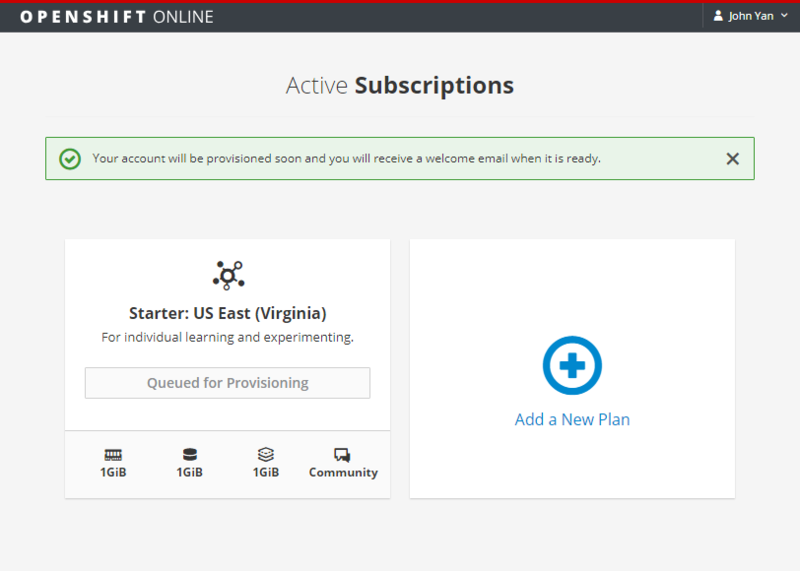 Choose Free subscription. 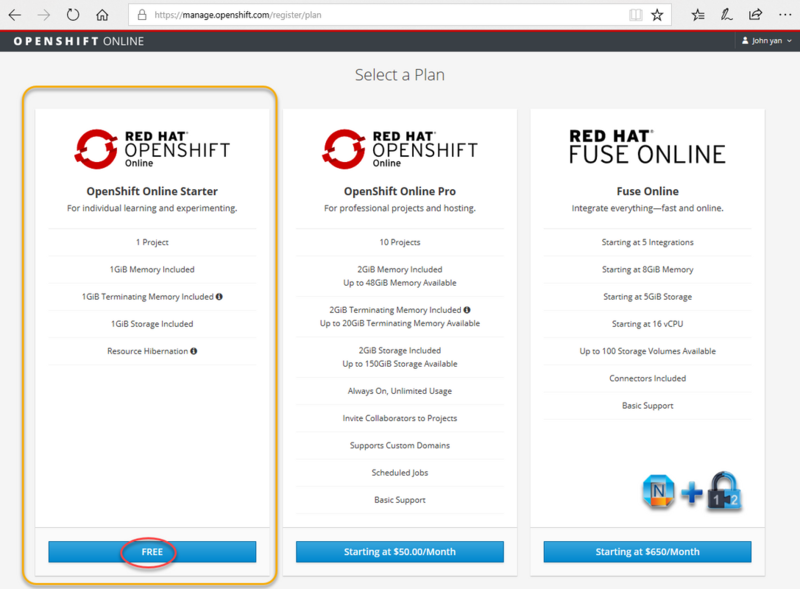 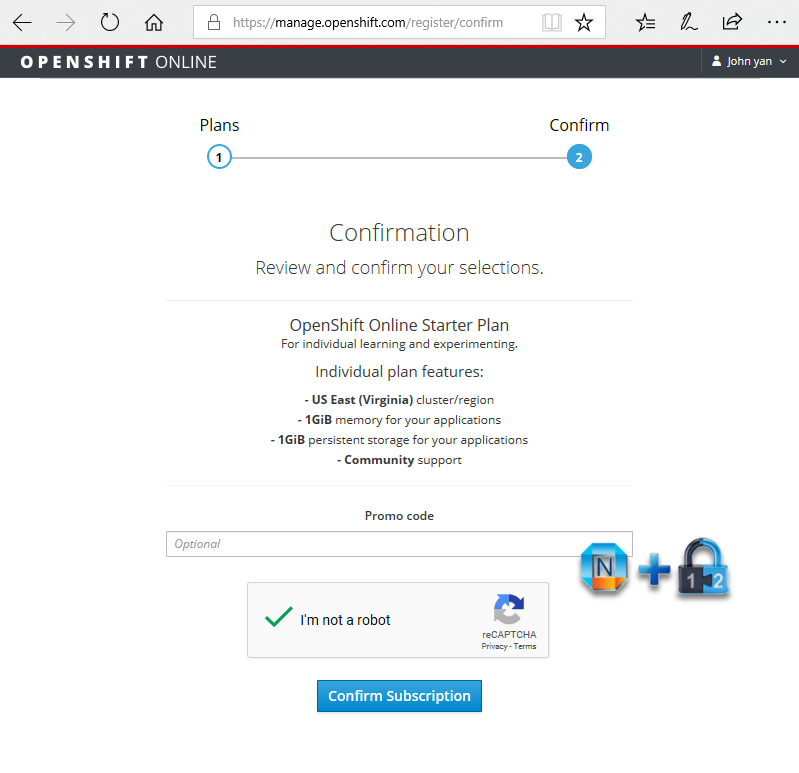 you will get OpenShift Online Starter Plan for your individual learning and experimenting. 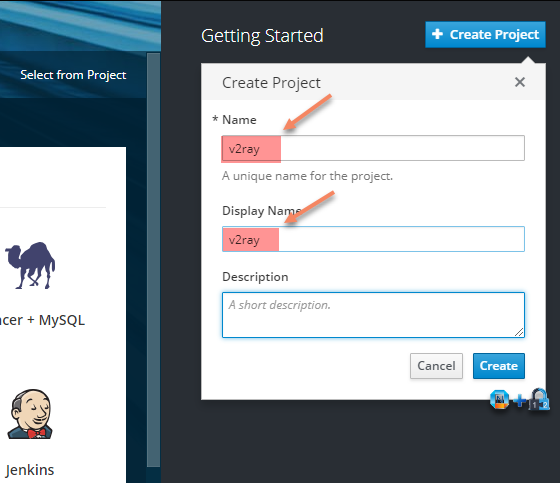 Open Web Console, and click Create Project button. 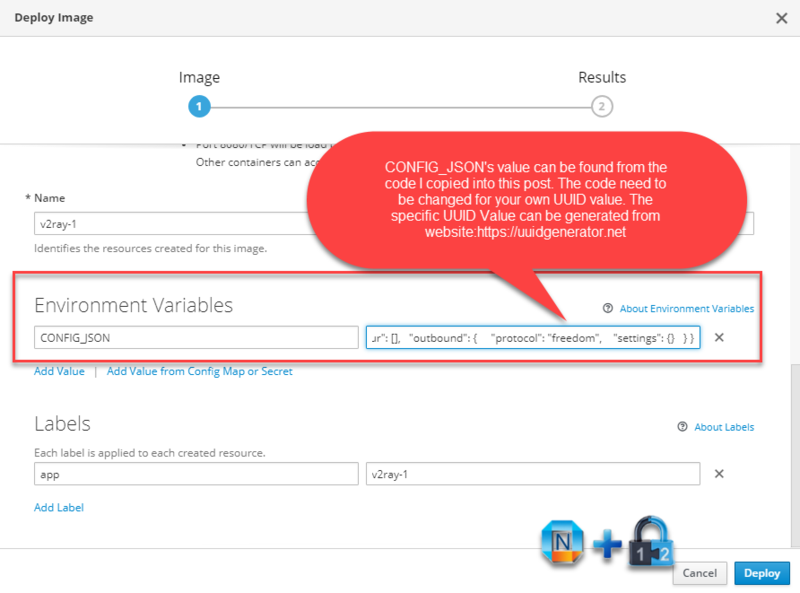 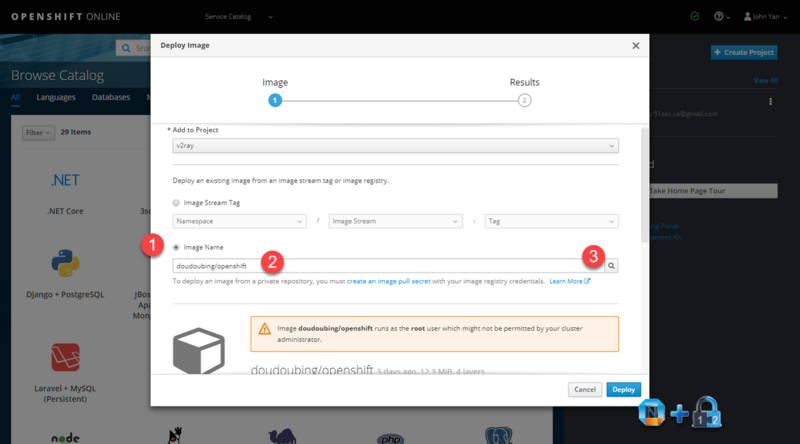 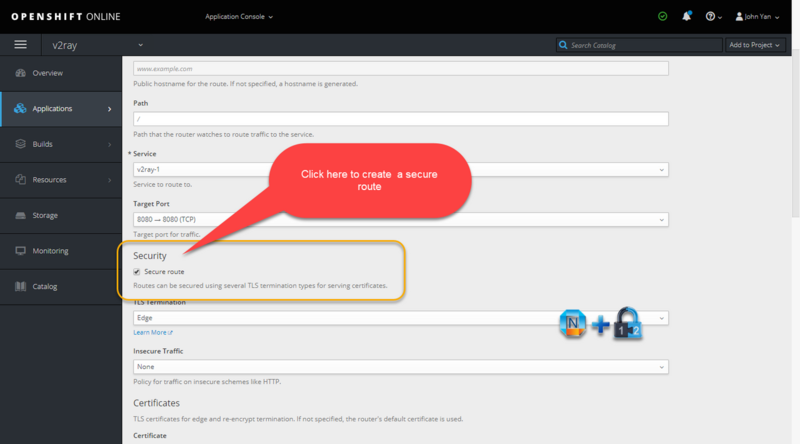 Choose Image Name option and enter doudoubing/openshift as the image name to search. 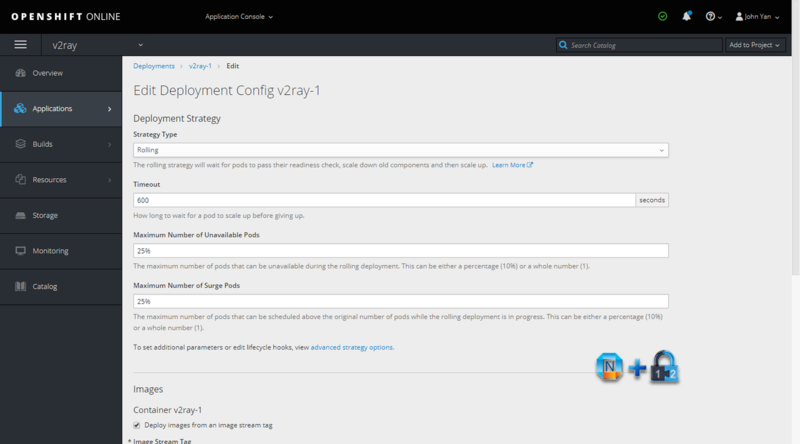 The most important part is to configure Environment Variables.